In need of some woodwork? Chances are you’ll want to hire a Springfield, MO carpenter. Carpenters work with all types of wood and can specialize in many different areas, including framing, finishing and custom-made furniture. Make sure you choose the right Springfield carpenter for your job by asking plenty of questions, viewing their past work and reading reviews. Our work is found in both residential and commercial applications which require quality standards set by the Architectural Woodwork Institute. We provide entry systems, various types of radius work, interior doors, lite kits, louver inserts, mouldings, window sash, stair parts, plank flooring and floor registers. 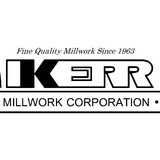 Consider your next building project- Kerr Millwork will work closely with you to create the exquisite, one-of-a-kind results your customers expect and will be able to enjoy for generations. 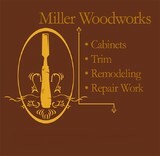 We are a full service cabinet and millwork shop. 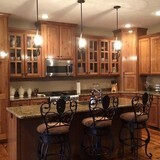 We do it all from design to finish to installation. We work with clients to create original furniture and other custom carpentry projects, as well as remodel and new construction services. We are focused on quality craftsmanship and thoughtful design. We welcome small and large jobs. From a table, to a shelter to put that table in. We love to work with clients to see each unique vision develop into reality. We have served the southwest Missouri region for over a decade with a wide range of projects In both the commercial and residential arenas. We offer fair pricing and friendly, attentive service. We do decor and furniture, stained or burnt. At DRC we design, mill, & install custom trim, moldings, fireplaces, closets, gun rooms, stairs, and interior decorative beams, pretty much any custom work made of wood. We specialize in custom radius moldings for doors and windows, & matching molding profiles that are hard to find or no longer available.